The question that many ask? “Is it worth paying for the Dinner Package to get a seat for this event?” My short answer is: “Yes”! 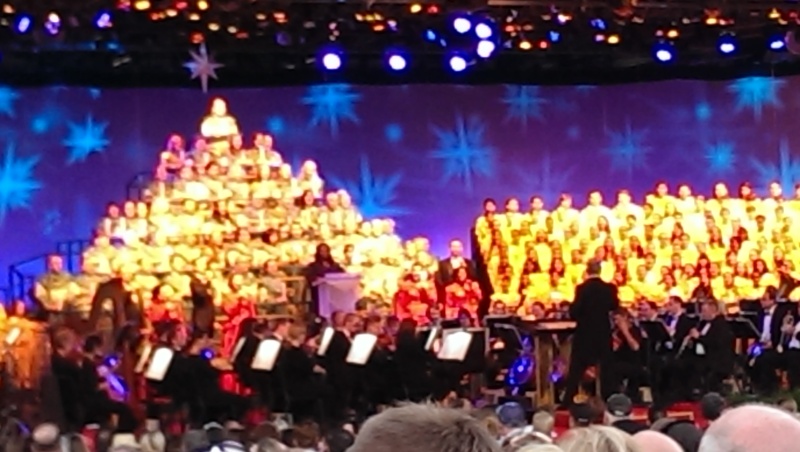 By purchasing the Dinner Package for the Candlelight Processional, you are being assured of a seat for one of the three performances. There are two lines for the show. One for Dinner Package guests, and one for stand-by guests. The stand-by line may only get a handful of people into the seated area. There is some standing room at the rear of the America Gardens Theater. You can choose to have lunch or dinner at The Biergarten, Chefs De France, Coral Reef, Garden Grill, La Hacienda de San Angel, Nine Dragons, Restaurant Marrakesh, Rose and Crown, San Angel Inn, Teppan Edo, Tokyo Dining, Tutto Italia, or Via Napoli restaurants. The time you choose to eat, will determine what your show time will be for the Processional. The line will start at the America Gardens Theater and move toward Morocco and France for Dinner Package guests. The stand-by line runs the opposite direction toward Norway and Mexico. In my opinion, the Dinner Package is well worth the investment for this fabulous event! So, eat up, get in line, and enjoy the Christmas Story from the Scriptures! My two recent stays included two very different resorts. Both were great! Disney is Disney with any of their resorts. 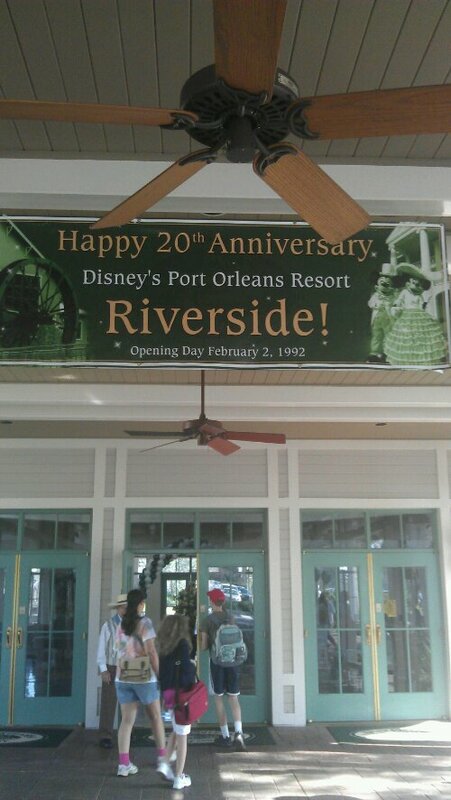 But, for this post, I wanted to share my thoughts between Disney’s Art of Animation Resort and Disney’s Port Orleans Resort – Riverside. So here we go! 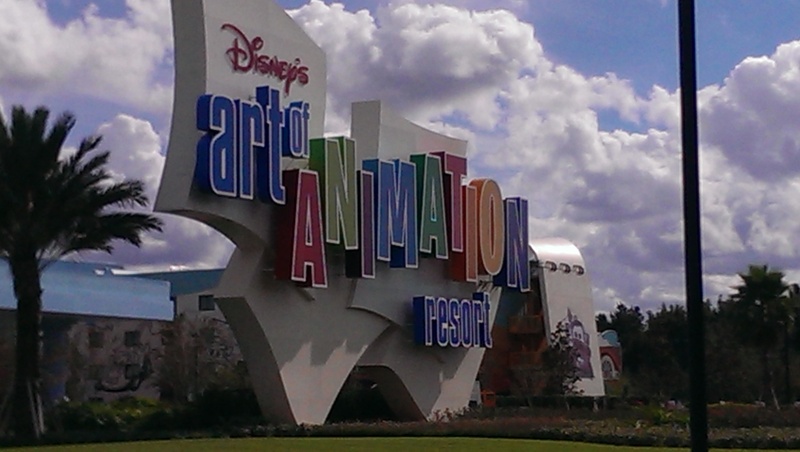 Disney’s Art of Animation (AOA) is a value level resort that offers three building areas (Nemo, Lion King, and Cars) with rooms set up with Family Suites that can sleep up to 6 people. And, one building (Little Mermaid) that has standard rooms for four people. Let me start by saying that we were in a Lion King Suite with 3 adults and three kids ages 11,13, and 15. One adult shared the sleeper and the kids took turns on the convertible dining table Murphy bed. All-in-all, it worked out great! No one complained and in fact I was told that the sleeper was a fine option! The master is a larger room, with a door that closes. There are two bathrooms complete with showers that make getting ready in the morning a bit easier to pull off if you are headed for rope drop. There is also a fridge, coffee maker, and microwave in the room. The grounds at AOA are well kept and each themed area has large figures of some of your favorite Disney and Pixar characters! There are three pools at AOA. The main pool is in the Nemo area and offers underwater sound. There are smaller pools at Cars and Little Mermaid areas, also. And, if you are hungry, The Landscape of Flavors is a great counter service area offering breakfast, lunch, and dinner daily. Transportation to anywhere on Disney property is provided by Disney Transport from a single point of departure in front of the main building. Just get in the line for the destination you are wanting, and there will be a bus shortly. Our experience was about 10 minutes or less during peak travel. Disney’s Port Orleans Resort – Riverside (POR) is a moderate level resort with two main areas, Magnolia Bend and Alligator Bayou. Magnolia Bend is fashioned after the plantation mansions of the south, while Alligator Bayou has more of a rustic, backwoods feel to it! Magnolia Bend room are standard rooms, but Alligator Bayou rooms offer the ability to house five guests during your stay with the use of a Murphy Style bed in the room. There are two sinks outside of the bathroom, making it easy to prepare for a days adventures in the parks. The theming of POR is not what you might not expect from a Disney resort, but it is a really nice break from the hustle and bustle of running to parks. And, transportation is convenient! There are boats that will take you from the dock at POR to Downtown Disney and back! I love this ride, it’s quiet and you get to see parts of the Disney property that can’t be seen any other way! Buses can be a little more tricky at POR with four stops around the perimeter. But, most people who are used to riding buses don’t seem to mind. And, most of the rides are quite short once all of the stops have been covered. If you are hungry, you can grab a bite at the Riverside Mill food court, sit down for a relaxing time at Boatrwight’s Dining Hall, or grab some appetizers at the River Roost while you are watching and listening to Yeehaa Bob! Both resorts provide a unique experience and offer the ability to create some fabulous memories! So, keep them both in mind and consider what you’re goal is when choosing a Disney Resort for your vacation! Thanks for reading and have a Blessed and Magical Day, my friends! What I like most about my trips to WDW, is the absolute loss of reality, even for the short time I am living within the bubble! For at least a week at a time, I can forget about the cares of the world and relax! Sure, the word relax and Walt Disney World aren’t normally found in the same sentence together, but it can be done! When I first walk up to the Magic Kingdom, each trip, I can literally feel the weight of the world melt away! I have even been told that the look on my face changes! I can feel the stresses of life melt away, if only temporarily, and enjoy what is right in front of me, the Main Street Railway Station! For me, that is the sign that I am almost home! Sure, I love all of the other parks, too! But, The Magic Kingdom has a direct link to my biggest idol, Walt Disney! I know he didn’t get to see his dream completed, but you can still feel him in the place, if you allow your self. After all, WDW was kind of based on Disneyland, and Walt did build that one in his lifetime. And so, when I walk into the younger sibling I can still feel as though I am walking in Walt’s footsteps. EPCOT was always Walt’s desire for the Florida Project, and I remember walking into EPCOT when the paint was still drying and the Imagination Pavilion was at least six months from completion! But, The Magic Kingdom will always be the place that started it all! At least for me! What is your favorite park? Memory? Share it in the comments below or email me at threestrandswdw@outlook.com. Have a Magical and Blessed Day, my friends!